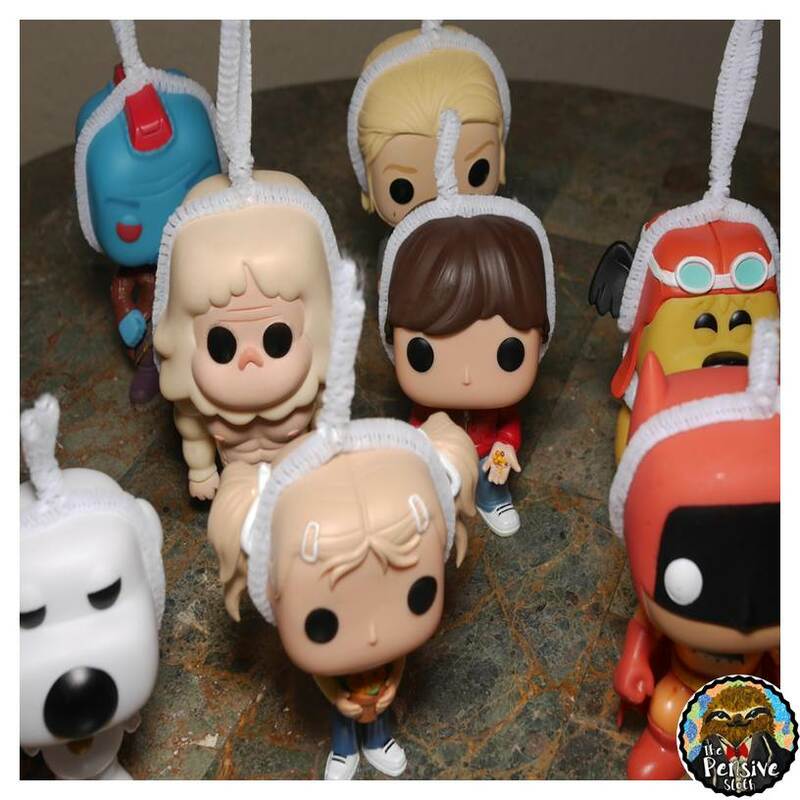 Funko Pops. They’ve been the thorn in my side for several months now. When we went on vacation this summer, a few came back with us. When I arrive home after a long day of teaching, there’s often a Pops-sized box on the porch from Amazon or some other online retailer. I literally can’t escape them because they’ve become my husband’s obsession. Usually these little guys stay in his office. It’s one of those unwritten house rules, but when my husband looked less than enthusiastic about putting up the tree this year, I got an idea and decided to make use of the little devils. The first challenge was finding a way to hang them on the tree without *damaging* them (Mr. Pensive Sloth insisted upon this). Luckily we had some pipe cleaners around. I tried wrapping the wire around their scrawny necks, but they just fell over. The same thing happened when I wrapped it around their torsos. The little buggers are so top heavy, that everywhere I tried to hang them from just resulted in a Pop facing down. 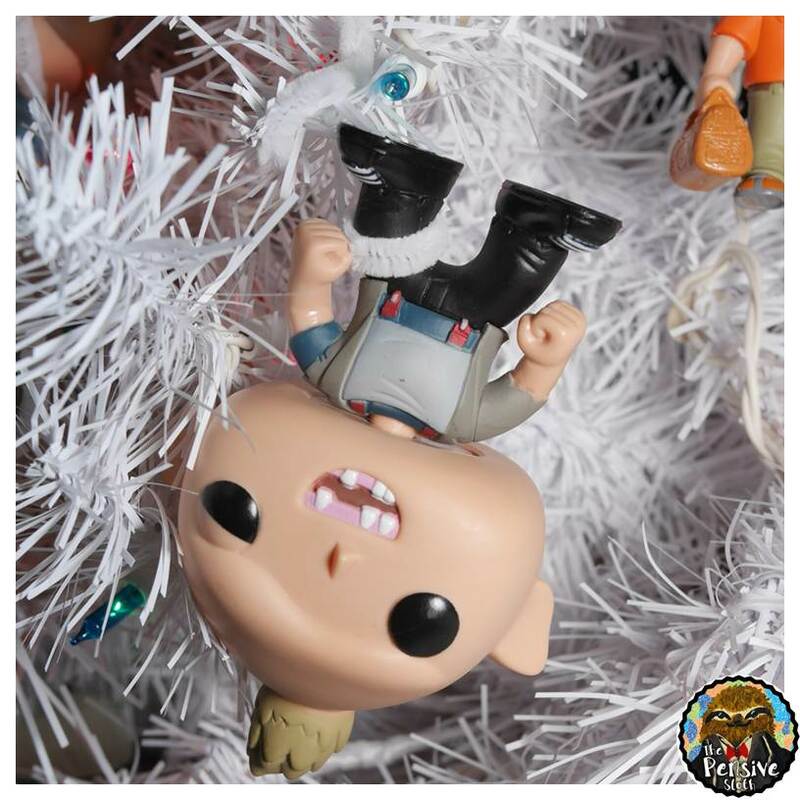 I thought I was onto something when I decided we’d just hang them all up by their tiny feet and have upside down Pops all over the tree. I was quite fond of this idea, but it was quickly vetoed. Gather a Pop and a pipe cleaner. We had white and they matched our tree, but if your tree is green, consider green pipe cleaners so they blend in. 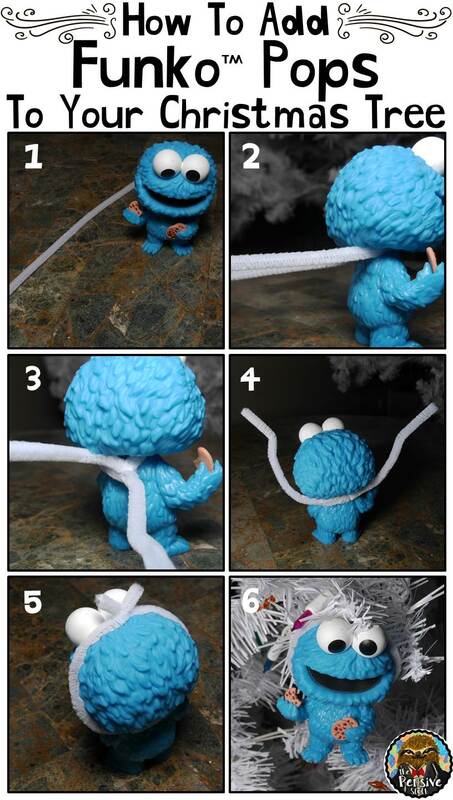 Fold the pipe cleaner in half and put it around the neck with the open part in the back. Twist the two ends together close to the neck. Bring the sides up around the head of the Pop, near where the ears would be. Twist the two ends very tightly together at the top so they don’t slide back and forth. Hang on the tree! There is usually enough left to twist around a branch, but if there isn’t you can make a hook out of a small piece of pipe cleaner and attach this to the one around the head. NOTE: This doesn’t work for all Pops. Some heads are bigger than others, some have decorations on their already enormous heads that prevent a pipe cleaner from going around easily, etc. On a few of the big ones, I did the same thing after twisting two pipe cleaners together. You just have to be creative if you really want it on the tree. Or give up and choose a different Pop. We did that too sometimes. As you can see, we also have a fake Christmas tree, so the branches are pretty strong and can be bent around to support the pops. Some of these little guys are crazy heavy for their size, so if you’ve got a real tree, test a few out first. Overall it was a lot of fun! 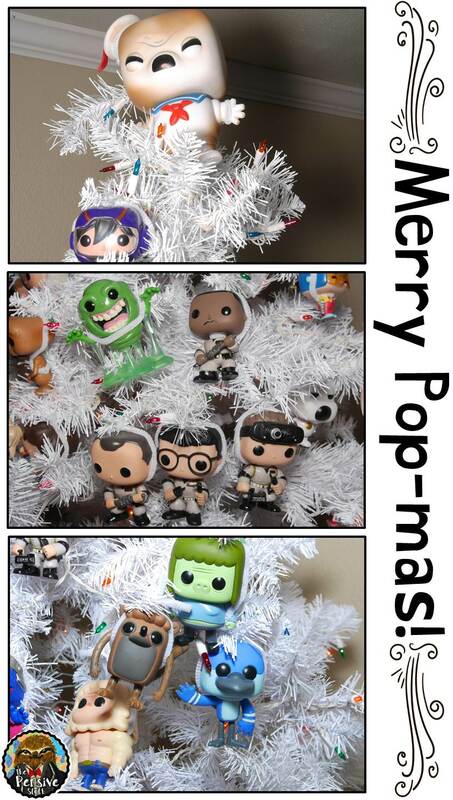 We got into a rhythm where I added the pipe cleaners and my husband carefully placed each Pop on the tree. He enjoyed making sure the characters stayed with their bonded Pop families. Here’s the final product! If you’ve got children or a husband with a wild collection of small objects (Pops, superheroes, dolls, toy cars, Beanie Boos, etc. 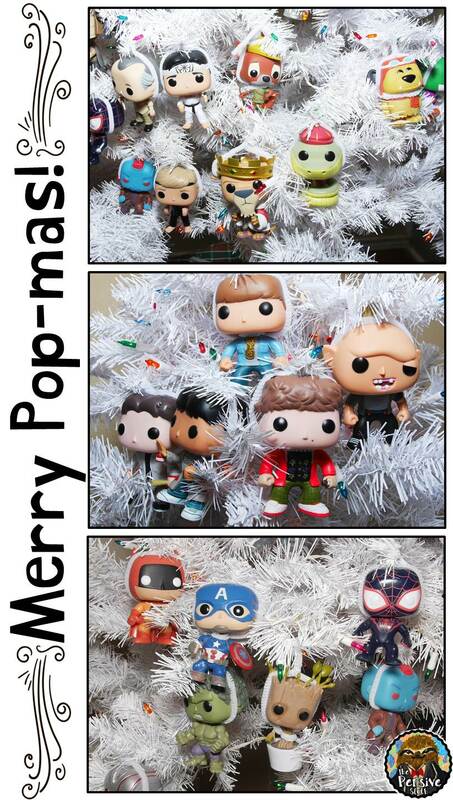 ), why not turn it into something fun and make a themed Christmas tree? Share your ideas and experiences below. Now, you may be wondering how this is related to teaching. It’s not, but was so much fun that I had to share! 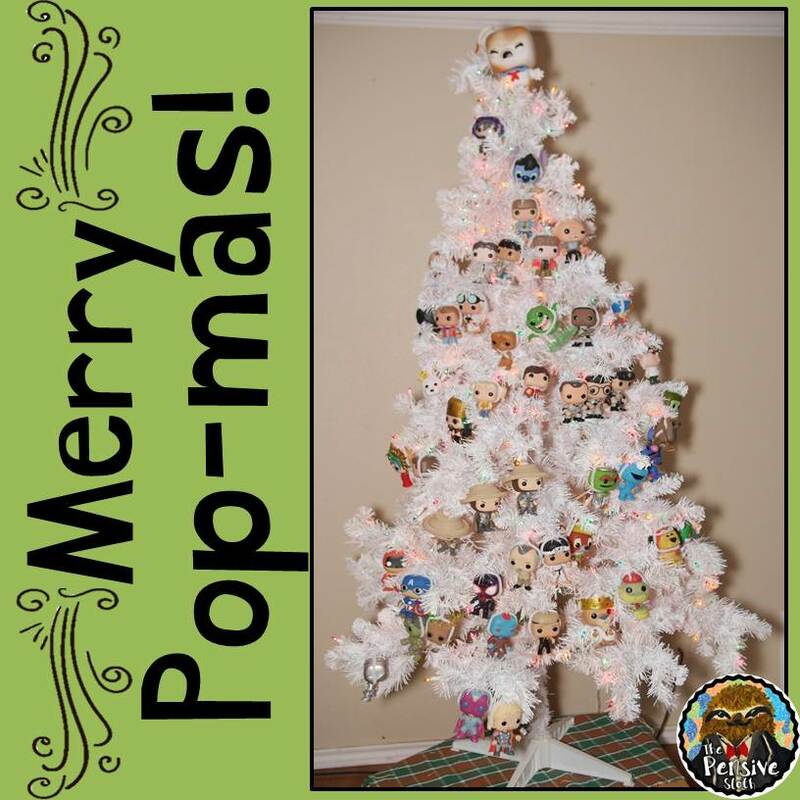 Of course if you have a bunch of Pops around and want to do this in your classroom, I’m sure your kiddos would love it (make sure to use school-friendly Pops!). I did get an idea that I plan to have the kiddos start on next week. 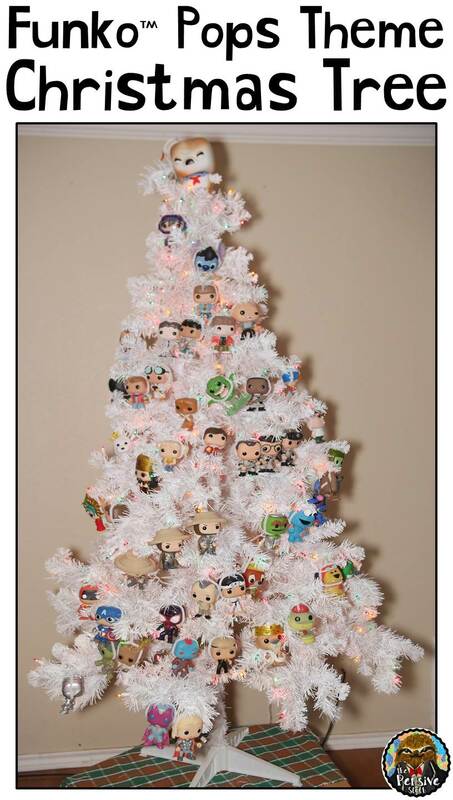 A favorite character theme Christmas tree. More info on that coming soon!